The organization demands that children of H-1B visa holders be treated on par with DACA recipients. The Republican Hindu Coalition will organize a rally in front of the White House on February 10 demanding an end to the Green Card backlog for Indian nationals on H-1B visas and the threat of deportation their children face, as they age out of their H4 dependent visa status. Hundreds of Indians nationals currently on H-1B visas and Indian Americans from across the country are expected to join the rally on Sunday to raise their voice about both the issues. The rally, organized by the Republican Hindu Coalition, wants to create awareness about what RHC calls “DALCA,” or the “Deferred Legal Childhood Arrivals” issue and the need for these children to be treated on par with the “Deferred Action for Childhood Arrivals” (DACA) beneficiaries. DACA allows the so-called Dreamers, or undocumented immigrants who were brought to this country as children protection from deportation and give them work permit. 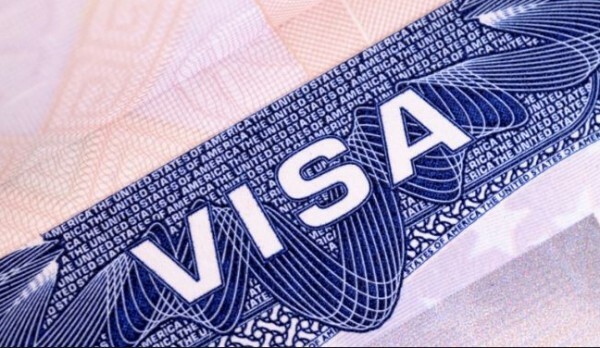 The children of H-1B visa holders that came to the United States on H4 visas need to change their visa status once they turn 21 or leave the country. RHC founder Shalabh Kumar is expected to attend the rally. The organizers claim bipartisan support for the rally and say that both Democrats and Republicans realize the urgency of this issue. The rally is timed to create momentum for the issue ahead of the crucial negotiations on border security ahead of the February 15 deadline. Without a deal there might be another federal government shutdown. The organizers are demanding that the Green Card backlog affecting the Indian H-1B holders and their children be included in any potential deal. He said that RHC has the backing of Sen. Rand Paul, R-KY, and former speaker of the US House of Representatives Newt Gingrich. While legal immigrant workers in the United States have to wait long periods for getting the Permanent Residence status, or Green Card, for the applicants from India the wait time is the longest. The computation done based on the number of applicants for each category shows that the biggest backlog is for those who have applied in the EB-2 category. RHC wants the issue to be included in the ongoing border security negotiations. It says the situation is dire for many H1-B holders, who have been stuck in Green Card backlogs for decades. They not only have to undergo endless H1B visa extension cycles but also live under stress and fear of their visa being rejected.